I remember that run. And I remember thinking, and expecting, to be having those runs until I was at least #30weeks pregnant. This photo and these thoughts were with my first pregnancy. A pregnancy in which I actually ended up not running much at all past 20 weeks. I’m now pregnant with number two! And guess what? I have run a total of 4 miles since being pregnant. And as different as the number of miles I’ve logged is, so is my mindset. 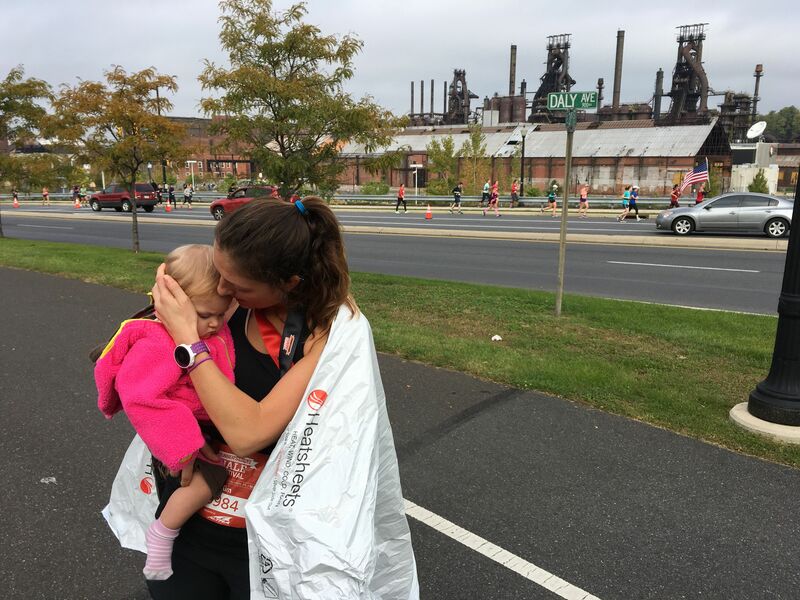 If you have followed me on this site you may have read about my experiences with postpartum running. Specifically, my return to training quickly followed by pelvic floor issues (which sidelined me from all activity for a solid eight weeks). Not running—barely walking comfortably, for that matter–was a true learning experience for me. Runners are typically regimented, dedicated and routine-oriented. We thrive off long, quiet mile marches that allow us to do a lot of thinking and not much talking. So when we’re told we can’t run—at all—the diagnosis (from a therapist or your body) can be mentally crippling. 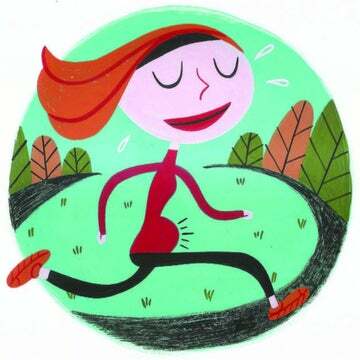 My pelvic floor experience put running into perspective for me. Running will (I hope) be part of my life for a long, long time to come. Pregnancy and the fleeting months and years after will be gone in a flash and I have learned to remind myself of that daily, and be thankful for the healthy, beautiful baby girl that I got to spend a little more time with each day (instead of running). I can’t tell you how many mamas out there contact me after reading my pelvic floor stories, sad and worried about similar pain and diagnoses. And here’s what I remind them: our babies need healthy mamas. I was willing to stop running, dedicate many hours and energy to pelvic floor training and therapy and do anything else necessary to ensure that was the case. Sometimes it’s hard to see that and feel that from within, but an outside voice can help put it into perspective for us. The reality is, even though my physical therapy regimen the first time around allowed me to return to running, I still had lingering pelvic floor weakness. 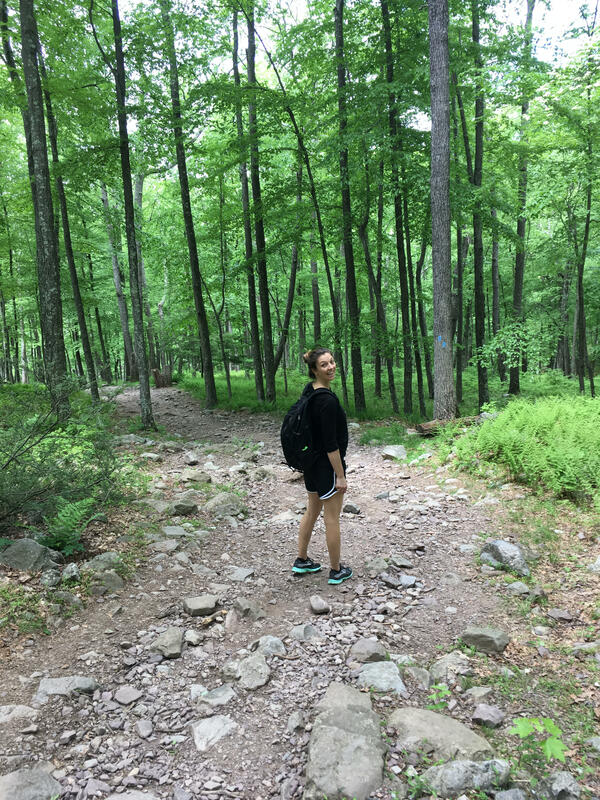 It was never pain, but it was always just “there.” As a result, as soon as I got pregnant and my hormones were surging through my body, relaxing tendons and ligaments, running immediately became uncomfortable. Not impossible, and not unbearable, but uncomfortable and noticeable. 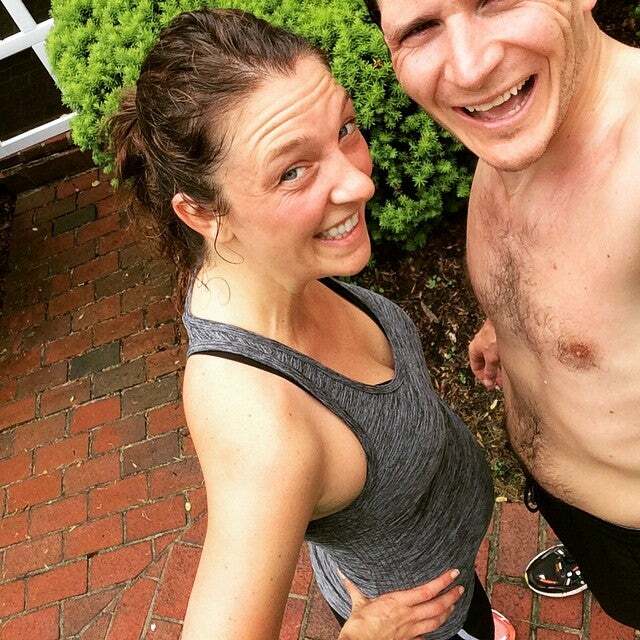 So, rather than push through an unnatural feeling, I accepted that my pregnant body and running just aren’t a good match. I reminded myself that it doesn’t make me any less of a runner or a wimpy pregnant woman! It’s not the same as running, but I’ve found enjoyment in of some alternative types of exercise that you might explore, too, if you’re going through a similar experience. Swimming: An amazing low impact, total body workout you can do up until the last weeks of pregnancy. Elliptical: Pretty boring, but it does the trick when needed. Stair stepper: A quick way to get that heart rate up and your sweat on. Spinning: Endorphins from spin are similar to running for me, though once I hit my third trimester I’m usually too uncomfortable on the bike. Hiking: I’ve started to really enjoy spending a weekend day with the whole family outside, doing a long, moderately hard hike. Walking: One of the most basic exercises, but really the best! It’s low impact, you can do it at any point in the day–or multiple times a day–get fresh air (or spend time on the treadmill) and just be. I’ve learned to really love my walks. All of these are fairly low impact, still get my heart rate up and make me sweaty, and allow me to have that “me” time. Don’t get me wrong: it’s not running, but if it means there’s another sweet child on the other side, I’ll take it.